For its entire 18-year history, Insightec Ltd., an Israel-based developer of MRI-guided ultrasound devices, has never turned a profit. But time after time, the company has managed to attract the interest of global investors and multinational companies. The latest investment round includes a commitment of up to $150 million from the Koch brothers. The Insightec deal is the first investment by Koch Disruptive Technologies (KDT), the new venture capital arm of Koch Industries Inc.
Insightec’s MRI-guided ultrasound technology offers a non-invasive way to treat conditions affecting deep tissues, like essential tremor, painful bone metastases and uterine fibroids. The company’s sales have reached $21 million a year. Insightec moved much of its operations from Israel to the U.S. in recent years, a move that precipitated the introduction to Koch executives. Last year, Insightec’s CEO Maurice Ferré went a road show in the U.S., hoping to raise money for research into applying its technology to the treatment of conditions in the brain. Earlier in his career, Ferre founded MAKO Surgical Corp., a developer of medical robots, which was acquired by medical technologies company Stryker Corporation for $1.65 billion in 2013. Last month, regulatory filings by one of Insightec’s parent companies revealed a Series E funding round of $90 million, of which would provide $75 million. 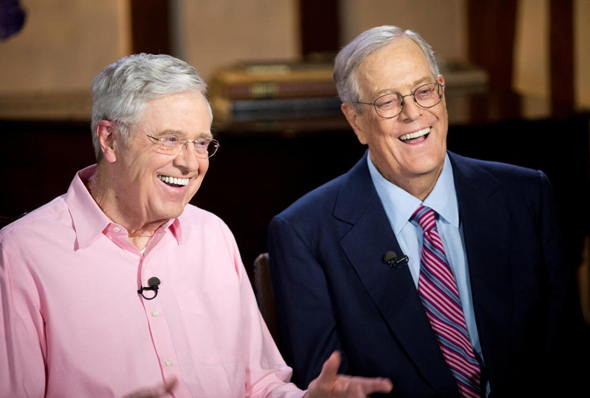 The deal values Insightec at $460 million.The Kochs have the option of investing another $75 million until the end of the month. Founded in 1999, Insightec previously raised more than $250 million, including a $120 million investment from Elbit Medical Ltd., a subsidiary of Elbit Imaging Ltd, $70 million from General Electric, and $40 million from York Capital Management, LLC. As part of the Koch investment, Elbit Medical agreed to relinquish one of its two seats on the board of Insightec, and to see its stake in Insightec drop from 31% to 26%. If the Kochs exercise the option to invest another $75 million, Elbit Medical’s stake will drop to 22%. Both Elbits are publicly traded and saw their stocks improve their performance following reports of the Koch deal. Elbit Medical’s stock jumped 28% last month capping off a 77% increase for the year. Elbit Imaging saw a 21% increase in its stock price in December after an earlier downward trend.